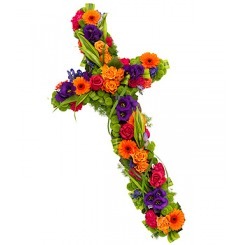 A vibrant cross in purple, orange, cerise and lime shades. 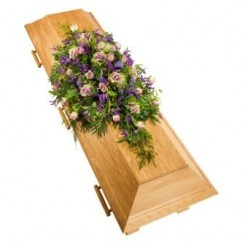 Please note that all flowers are subject to availability and substitutions may be made at the florist's discretion. 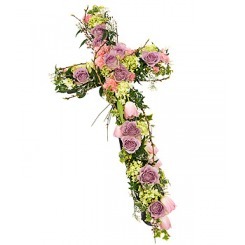 A loose cross in pretty pink shades. Please note that all flowers are subject to availability and substitutions may be made at the florist's discretion.